A new classic you can count on. 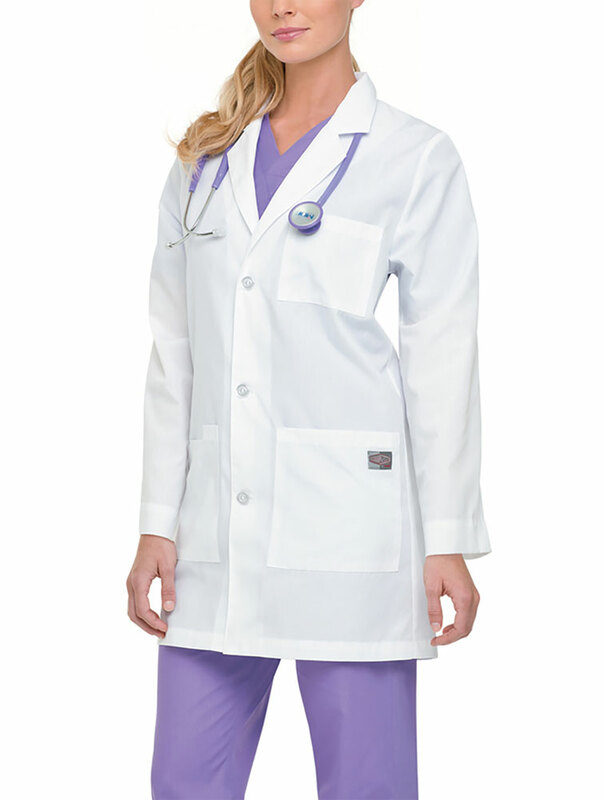 Three-button lab coat with notch lapel collar and three pockets - one chest pocket and two lower patch pockets. 65% polyester/35% cotton. Medium length 31 1/2"